We all love to engage our children in the kinds of pastimes and games that we enjoy so much. Whether it’s watching our favourite sport, or trying to get them into the kinds of literature we appreciate, we all want to make our kids interested in a variety of activities. 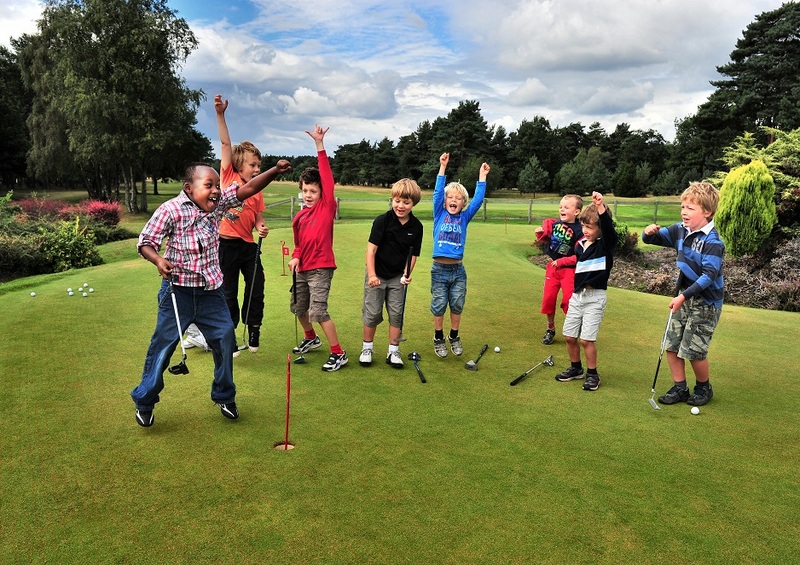 For those golf lovers and parents out there, a day on the course might seem like a good way of bonding with the kids as well as having a little fun of your own. The problem is that children can be unpredictable at the best of times, and taking them to a place where there are other people trying to play, as well as a large, open piece of land perfect for getting lost, and it may quickly become a nightmare for the unprepared parent. Fortunately, there are a few different methods to make your golfing excursion much more palatable, and allow you to keep your kids in line without having to earn some grey hairs in the process. So if you’re looking to take a break from your favourite and best betting sites and want a day out with the kids, these five helpful tips may just be what you need to know. For the most part, golf courses are quiet places, and the peace is part of the reason that many people take up the sport. Taking a group of kids can shatter this peace, even if it’s unintentional. We don’t want to upset any other groups that may be playing, and the only way to get around this is through correspondence with the golf club. Asking the staff beforehand which days tend to be the most quiet will give you an idea of when best to take your kids out for some fun without disturbing anyone else. Keeping it short is key. Golf can become tiring, especially if your course is quite large, and kids don’t have the stamina of a seasoned play. The long your group spends moving from place to place over the course, the more exhausted the kids will become. It’s important to remember to play for as long as you want, even if it doesn’t always mean finishing the course. Instead of using the predetermined courses, which can sometimes take hours to finish, you can instead make your own using the various greens and holes around. This allows you to determine how much time you will spend on the course, and keeping it short but fun will be great for everyone involved. It might be tempting to want to go off and play a game while your kids are having fun, but unfortunately this may only lead to frustration. Rather focus on their game, and even joining in could be a blast for everyone involved. Another thing to remember is to always keep the group together, and don’t delegate one kid to one course at a time. Playing together means they will always be near each other, the movement is minimal, and they don’t have to be out there on their own.